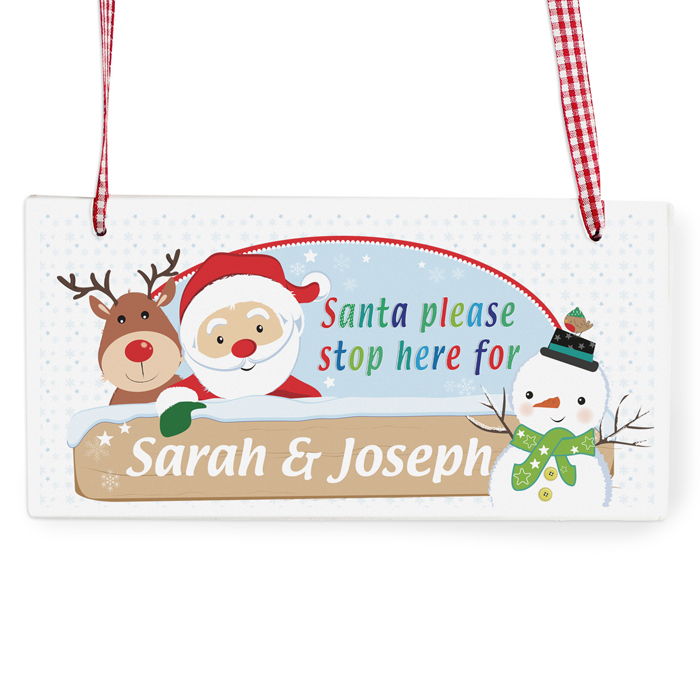 personalise this santa and friends stop here sign with a name/names up to 25 characters. 'Santa please stop here for' is fixed. decoration is made from wood with a ribbon attached, ready to hang.